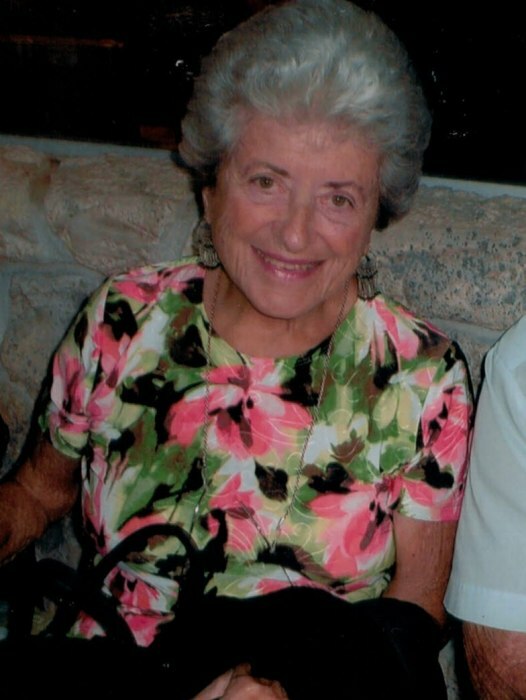 Marilyn Rose Glucksman, 93, a resident of Heritage Springs Memory Care, Lewisburg, formerly of Florida and Massachusetts entered into rest on Friday, September 21, 2018 at Evangelical Community Hospital. She was born on January 30, 1925 in Brooklyn, the daughter of the late Altar George and Esther Gertrude Mamroth. On July 17, 1946, she married Henry Louis Glucksman, whose death broke a martial union of 56 years. Marilyn retired from Berkshire Life Insurance Co, Pittsfield, MA, as an event planner. Earlier life her and her husband owned and operated the Homestead Inn in Stockbridge, MA from 1961 to 1967. She was a hard worker and supported her family in many ways. She especially cherished spending time them. In her pastime she enjoyed painting. Surviving are a son and daughter-in-law, Bill and Judy Glucksman of Hughesville, five grandchildren, Dan Pevzner, Lisa Pevzner, Matt Pevzner, Amy Pevzner, Michael Glucksman, 5 great grandchildren, Elizabeth and Victoria Pevzner, Dylan, Tyler, Riley Glucksman. Also surviving is her companion, Ed Deane of Venice, Florida. She was preceded in death by one daughter, Susan Pevzner, and one brother, Ellis Mamroth. In keeping with Marilyn’s wishes, services will be conducted privately. In lieu of flowers, memorial contributions in Marilyn`s memory may be sent to Alzheimer’s Research Foundation, 3152 Little Road, Suite 146, Trinity, Florida 34655.